Allkind Joinery & Glass manufacture and supply architectural timber joinery products like timber doors, bifold doors, sliding doors, pivot doors, timber windows, french windows, kitchens, bathrooms, cupboards and all other timber joinery products. For all inquires: www.allkind.com.au . "Allkind Joinery & Glass is one of the few remaining old fashioned timber joineries in Queensland. Our founders established Allkind Joinery in 1970 moving from Brooks Joinery and bringing with them a lifetime of experience in the industry. Although over time Allkind has upgraded machinery to include some of the latest computerised machines, we faithfully maintain the traditional construction of full mortise and tenon, wedged and glued joints in all timber windows and doors. All products are hand crafted to ensure the highest quality. Allkind Joinery is a registered builder (QBSA Licence 22196) and we certify that all glazing is carried out to Australian Standard AS1288-1994 Glass in Buildings – Selection and Installation. We are a member of Commerce Queensland, WADIC (Window and Door Industry Council) and Queensland Master Builders Association. At Allkind, we take great pride in training our own apprentices to ensure that the in-house skills, developed over generations, are maintained. This also ensures the quality of our products. Our key staff members have been with us for over 25 years, testimony to the strength and skill level within Allkind Joinery. Located centrally on the north side of Brisbane (opposite Prince Charles Hospital), we can provide prompt service to any area throughout Brisbane and the South East corner. *In 2006 Allkind Joinery won the Queensland Apprenticeship Services Small/Medium Employer of the Year award, a reflection of our dedication in providing real career opportunities to our staff." 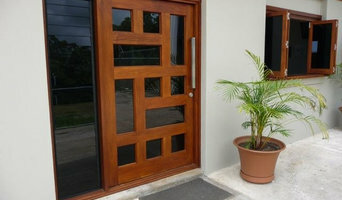 Door City is a manufacturer of high quality, solid doors for both home and commercial projects. Bi-Fold, Stacker, Entry, internal, Barn and many other door styles are available to see in our showrooms throughout South East Queensland. At door City, solid means one piece of timber - no laminates, no filler, no MDF. 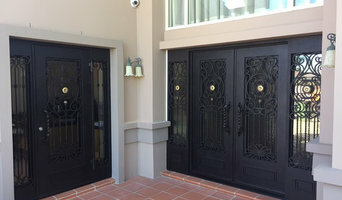 Wrought Iron Shop has been successfully trading since 2000 and has developed into Australia's largest supplier of premium quality entrance doors. We are Australia's only supplier who offers you site visits for measure and quoting, and installation including our generous 3 year warranty and free servicing. Our stunning premiere range doesn't just stop at doors, we also cater for balustrades, gates, fencing, lights and lamps, and many other premium quality wrought iron projects for our customers. We are a Brisbane based company that custom creates quality, stylish sliding robe doors and internals at affordable, factory direct prices. Available in a wide range of colours and finishes, our sliding robe doors are designed to be tailor made to suit any space. Not just limited to wardrobes, our made to measure door sets are also ideal for offices, laundries, hallway storage cupboards and room divides. By offering made to measure door sets, we can help you maximise your space whilst complimenting the style of your home. Manufactured onsite in our factory in Lawnton to the highest standard, we offer supply only with our easy to install instructional video, or if you need a little help, our experienced installers can take care of it all for you. 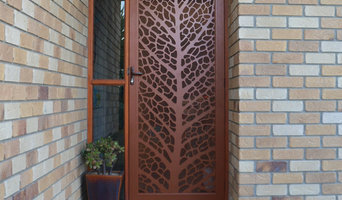 Decoview manufactures and designed beautiful laser cut screen doors and windows. Never has there been a solution quite like Decoview, our patented extrusion system is the solution for bringing laser cut and CNC punched screens onto residential doors. Bring your home into the now by getting rid of your dated diamond grill and stainless mesh style outdated security doors and make a statement with your Decoview door while providing security on your home that looks great. Prowler Proof is Australia’s only welded security screen and the only security screen made in a world class fully automated factory. The strength and quality is unmatched, whether you prefer the classy stainless steel ForceField®, the smart Protec, the traditional Diamond designs, the classic Heritage designs or need to keep small intruders out with an insect screen. ForceField®, Protec, Diamond and insect screens are available for hinge doors, sliding doors and windows. The Heritage series offers a wide variety of hinge doors. Woodworkers is a 100% Australian owned family company formed from the amalgamation of several older timber joineries and retailers including Drakes Joinery, Yandina Joinery, Sargoods Joinery, Beautwood, Sydney’s World of Wood and the Gold Coast Door Shop. Our original Drakes joinery workshop at Moorooka is Brisbane’s oldest surviving joinery in continuous operation since 1928. Many of the designs that are the hallmarks of the Queenslander architectural style were originally made in this workshop and the same techniques continue to be used today. It is Queensland’s largest manufacturer of solid timber joinery with approximately 100 skilled trades people and staff in 5 factories in Australia. The company also operates supply chain factories in Indonesia and China that feed the Australian factories with stock and componentry. 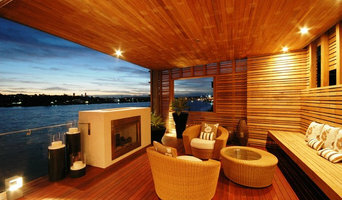 Woodworkers has showrooms in Brisbane, Sydney, Southport, and Maroochydore. We also have distributors strategically positioned throughout Queensland, New South Wales & Western Australia. AJ Doors is a Brisbane-based door repair and fitting business, helping businesses, body corporates and homeowners.With over 30 years of experience, we know everything there is to know about doors. Whether you need help with replacement rollers for sliding doors, refusing-to-budge pivot doors, or rusted sliding door tracks, you can rest assured that we have the expertise and equipment to help.Our team of friendly experts is highly mobile, completing jobs throughout the Brisbane area, from Redcliffe right down to Beenleigh. We pride ourselves on our efficiency – our technicians are usually in and out within the hour. TORNEX has consistently developed its product range to become one of Australia’s leading manufacturers of premium cavity sliders and sliding door systems. Designed and manufactured to the highest standards, TORNEX products deliver a high-end finish and ensure longevity in design and functionality. Australia's largest range of reclaimed French Doors. Over 400 pairs in various styles changing weekly. We cater for builders/owner builders, restorers, renovators and architects. We have doors for domestic, industrial and commercial applications where the rare, unique or unusual is called for. Let Paul & Christine, who have 40 years experience in Architectural Antiques, show you their amazing range of doors that will give your next build that extra WOW energy you are looking for. 24 Seven Master Locksmiths have been servicing the Brisbane area since 2005. Initially servicing the southern suburbs of Brisbane, 24 Seven Locksmiths has now grown to service all Brisbane suburbs surrounding the Brisbane CBD to the southsides of Nerang on the Gold Coast and west to Jimboomba and Beaudesert. Awesome Doors specialise in garage door repairs and garage door servicing on the Gold Coast. We provide a reliable service for homeowners, units, and apartments as well as for property managers, real estate agents and body corporates. • Roller Door Repairs • Panel Lift Door Repairs • Tilt Door Repairs • Garage Door Replacement • Garage Remotes • Garage Door Automation • Garage Motors • Service and Repairs • Emergency garage Door repairs Need a trustworthy local garage door repair technician? We can repair most garage door types and makes. Call Awesome Doors on 0448 555 032 anytime you have a garage door emergency. We are available 24/7! 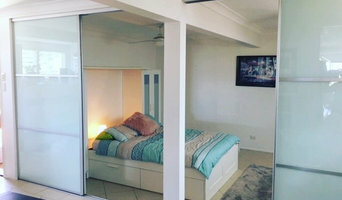 Find a Slacks Creek, Queensland door professional on Houzz. Scroll through this page to find door professionals in your area. Look at project photos and read reviews to find out how homeowners rate their service, expertise and product.